In order to keep pace with never ending demands of the customers, our company is instrumental in offering Vertical Laminar Flow Bench. 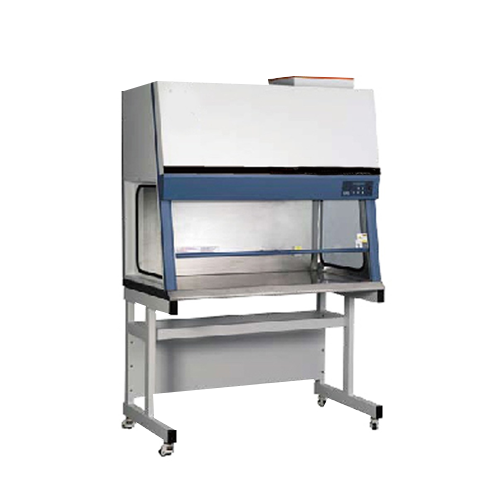 Our Vertical Laminar Flow Down Flow Benches have been developed to protect products in the working space against contamination. AFi's down flow benches additionally provide protection of the operator by ensuring that particles, bacteria or viruses in the working space cannot contaminate the user nor the environment. Our benches are made from wooden plates covered with hard plastic (Melamine). Stainless Steel execution available as option. The operating principle is based on creating a laminar or unidirectional airflow in the working space.